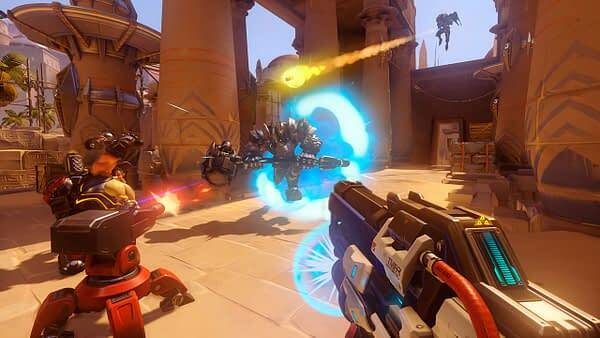 On July 28, Blizzard will be releasing their Overwatch: Game Of The Year edition, complete with a slew of new material that can only be snagged if you buy this specific version. In case you might be curious as to what this version contains, here’s a quick list of all the nice stuff you’ll be able to pick up. 10 Bonus Overwatch Loot Boxes — Enjoy 10 bonus Loot Boxes, each containing random items that can be used to customize and personalize the appearance of your heroes. Loot Boxes may include skins, emotes, victory poses, voice lines, sprays, and highlight intros, as well as credits you can use to acquire many different customization options. Overwatch Origins Skins — Pay homage to the original Overwatch strike force by wearing the vintage skins Blackwatch Reyes or Strike-Commander Morrison. Explore other heroes’ origins with Overgrown Bastion, Security Chief Pharah, and Slipstream Tracer! Diablo III Mercy’s Wings — Slay demonic forces throughout the High Heavens and Burning Hells as you don Mercy’s wings. All of Sanctuary will know of your allegiance to Overwatch! StarCraft II In-game Portraits and a Hearthstone Card Back — With portraits of Tracer, Reaper, Pharah, Winston, Bastion, and Soldier: 76, you’re sure to become a champion of the Koprulu Sector. You can also battle it out in Hearthstone with an Overwatch-themed card back fit for a hero! Could This Be The Newest 'Overwatch' Hero?